Announcing that Cakes and I were pregnant almost a month ago, was something we discussed for a little while. As Africans, and due to a lot of cultural superstitions, most women typically don't reveal their pregnancies... some even go as far as denying they're pregnant when you can clearly see their 8-months baby bump. Cakes told me one of his closest friends didn't tell him his wife was expecting until he invited him for his baby's dedication! Of course, it's such a personal journey and everyone is entitled to how they choose to handle pregnancy announcements (or not). 1. Hiya, what's your name and where do you create content? Aisha - My name is Aisha and my online space is called Aisha & Life. Vera - Hello Berry (and her lovely readers)! My name is Vera Ezimora, also known as Verastic, and I create content at www.verastic.com. Nice to e-meet you all. Yemisi - My name is Yemisi Odusanya but I am popularly known as Sisi Yemmie, I live in Lagos Nigeria and I create content from Lagos on my blog and Youtube. Cheechee - Hiii! My name is Chinyere but a lot of people call me Chichi. I blog at www.cheecheelive.com. 2. When did you become a mother and how many children do you have? Aisha - July 2016. I have a son called Kai. Vera - In October 2015, I became a mommy to the most beautiful baby girl I have ever seen. She’s currently my only child, but when I and her father are ready to start firing, we hope to conceive a set of confusingly identical twin boys. Please epp us to tell God. Thank you! Yemisi - I became a mother in May 2015 which is almost 2 years ago. I have 1 child. 3. Did you announce your pregnancy online? Or did you wait until after the baby was born? Aisha - I announced it online before my son was born. Vera - I did announce my pregnancy. I was due on October 25th, and I announced my pregnancy on October 1st, and yes, I had my baby before the due date. My Sweet Potatoes were still thinking I was playing a prank on them, and them, bam! the baby arrived. If you’re curious, you can check out the announcement here. Yemisi - I did not announce my pregnancy online because I didn't think it was necessary. I got pregnant immediately after I got married so I was very shocked to be pregnant. I spent the whole of my pregnancy "processing" my reality. A couple of readers suspected I was pregnant because of the changes: big nose, deep voice, swollen face, rounder figure...I had ALL the signs. There was no hiding, but I didn't announce till my baby was born. Cheechee - For my first baby, Grace I hadn't started blogging and I wasn't on the internet much either. Then I got pregnant the second time and announced it on my blog. A few weeks later I found out it was an ectopic pregnancy and I had to have surgery. With Ella my third pregnancy and second baby (that made it) :-) I did not announce it online because I was still soaking up the good news of being pregnant again, especially after loosing one of my tubes and after trying for about two years; so I really wanted to enjoy it privately I guess. At least that's how I felt at the time. With my current pregnancy I announced on my YouTube channel. 4A. If you announced online, how early or late in the pregnancy did you share your good news? And why did you decide to announce it? Aisha - I actually announced it when I was about 4 months along. As someone who regularly posts photos and videos of myself, I knew I couldn't keep it a secret from people. It would only take one chance meeting with someone while out and about for people to know. So I decided to announce it rather. I still kept the details of my pregnancy very private as I wanted to experience it behind closed doors. Vera - I announced late, but it was not really intentional. My plan had always been to announce it, but time kind of flew by – partly because I did not even know I was pregnant until my first trimester was almost over. Cheechee - I announced at the end of my second trimester and that's mainly because I plan to share bits and bobs of my journey on my blog and YouTube channel; so I felt it was necessary to do that before pushing out any pregnancy videos. 4B. If you didn't announce your pregnancy until after the baby arrived, may I ask why you made that decision? Yemisi - It just happened that I didn't announce it plus it was a very private time for my family, I'm used to sharing a lot on social media but that was one thing I held back. I just didn't know how to "announce" it, None of my friends/family announced pregnancies so I didn't feel it was the "norm". 5. Did you discuss with your spouse/parents/family/friends on whether or not to announce? If so, what were some of the opinions you got? Aisha - I discussed it thoroughly with my husband. He didn't mind at all and we agreed we'd wait until I was safely into the second trimester before telling my followers. I'd also been very MIA and felt they deserved to know why. I didn't discuss it with the rest of my family as I knew as long as my husband was okay with it, they would be. Vera - The only person I discussed the announcement with was my husband, Igwe. My mother knew of the announcement long after the baby was born and she almost passed out – which is exactly why I did not tell her before doing it. Yemisi - I didn't discuss it but early on my family pleaded for it to be private since they knew I was a social media somebody. I also felt it was a time to also step back and just go through the pregnancy without external opinions and pressure. Cheechee - I did not discuss making the announcement with anybody but my husband walked in on me making the video and he did not have a problem with it. However,my mother would have been fully against it because #NigerianMothers. I'm surprised she hasn't asked me what the video was about as she hasn't watched it and because the title wasn't clear enough. 6. Would you do things differently if you got pregnant again? Aisha - I think I would. I'd like to share more of my journey with my followers as I'm going through it. I was a a very nervous and scared first time mama and there's so much that goes on in pregnancy that I'd like to talk about. Vera - No, not at all. It all worked out perfectly by God’s grace. Yemisi - During my first pregnancy I was not doing daily vlogs so it was easy to almost get a way with it. I stopped taking photos because my face had changed so much I could barely recognise myself! Now that I have a growing YouTube channel, I don't know what would happen if/when I get pregnant. LOL. That is one bridge I will have to cross when I get there-the thought keeps me up at night though. Cheechee - No I won't. I have cautiously and intentionally made decisions in my pregnancy that I won't have any reason to change anything. 7. Finally, what's your advice to me as an upcoming First-Time mum, who also blogs and vlogs? Vera - It’s your baby and your blog, so share as much as you’re comfortable with (and as much as Cakes is comfortable with). Since he isn’t a blogger/vlogger, he may not completely understand your decision to share so much, so you have to take him along patiently. Whatever you do, don’t overshare, and don’t go past your comfort zone because once it’s out there, it cannot be taken back. Yemisi - Do what makes you feel most at peace and take things easy. 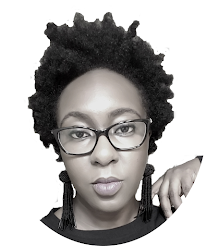 I had to step back for a while when I got pregnant and up till when my baby was about 4 months-of course this affected my blog growth, but with that came a new identity and I evolved. I was no longer the newlywed that could afford to attend many events in a week, I was now the working-from-home-mom who had priorities. It was hard to deal with emotionally but I took each day as it came along and you should too. Life is in phases and chapters, enjoy the one you're in now! Cheechee - Take your time,enjoy the moment. Don't be pressured to share or keep anyone in the loop. It's your choice to do that but sometimes some people believe they owe it to their readers or subscribers to inform them on certain things. The one thing that may also sound cliche - Don't be overly bothered about your "snapback" game. It is a personal thing. Each to her own. Take as much time as you need but be happy and make the best decision for you and your baby. Much thanks and appreciation to all the ladies for answering my questions and their lovely advice! Didn't you guys enjoy reading their responses? I certainly did! And with that, I wish you a berry pretty week, as always! P.S. At this time, I know of 7 Nigerian bloggers that are pregnant at the same time! I pray for safe deliveries for all of us, in Jesus' name. Amen! This is a nice read and I would say as a blogger or vlogger, who shares personal experiences, it might be hard to keep so many things private but at the same time,I am of the opinion that if you have been TTC or had some challenges before conceiving, then it should be a surprise and kept it private (i mean share with family and intimate friends). My reason been that I have also been in this shoes and I just discovered that social media is just a pocknosing avenue and not everybody is actually indeed happy as they claim and honestly, the truth is when you were TTC, just one, two or few people even cared in the first place so why share and get them involved anyways. This is my own true honest opinion, this is not even about africans being paranoid and stuffs but some things are rather kept private than public. But all in all,it still depends on individual, if you are comfy with it, why not? just follow your mind. Thanks for sharing your honest opinion. It was something I really thought a lot about - whether or not to share - and if sharing, when. I'm a pretty open person - it's evident in some of my posts but it's not like I share everything. Two boys ke!??????? No o.
I really enjoyed this post! Sisi Yemmie, I know of, but not the others. Going to check them out now! P.S. It shall be well for all 7 of you IJN! Thank you so much for this lovely feature. I feel famous! Lol. And hello to all the other lovely ladies. Looking forward to meeting your little human, Berry. LOL! We can't wait for Baby Cocoa too! Nice!, totally love this post. Most Nigerian women dont like to announce till the 2nd trimester.I do hope you have a wonderful pregnancy and birth experience. Thanks a lot Olajumoke. I'm glad you enjoyed it. I had not started blogging with my first pregnancy. For the 2nd, i did not feel the need for any dramatic reveal (not in my nature). But informing my readers was out of courtesy, as i was MIA through my 1st trimester due to very ill health and not blogging. I feel irrespective of cultures, it may be safer to announce pregnancy once you enter the 2nd trimester. This is only because of any unforseen risks and not superstitious. I know Africans tend to be superstitious but if your blog readers wish you well for other things, why would they feel otherwise with your pregnancy? In the end, you should do what makes you comfortable. Being MIA from the blog, especially when you didn't plan for it intentionally, does make you feel a little bad - plus the dipping numbers in traffic. Most advice says that if you're telling non-family members, you should wait until you enter the second trimester anyways. I enjoyed reading this post. I follow all the ladies except Chichi so definitely going to find her blog too! Congratulations Sis! The decision to share or not to share is solely yours, but never feel pressured to do anything! I watched the video about TTC and babes i cried too.... simply for all that you have been through it will be difficult to contain the excitement. Sis take this time to enjoy this anticipated journey! Take care of you always! Oh, I certainly won't allow pressure to get to me - not that I even got the pressure to reveal anyways. I set my mind on the date I was going to comfortable sharing and stuck with it. 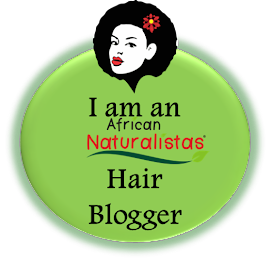 Yemisi blogs at www.sisiyemmie.com. She didn't mention that. Great interview! Yeah she did :) and I included her addy as well. I pray for safe deliveries too in Jesus name! To reveal or not is a personal decision really, so long as your spouse is fine with it. Interesting interviews! I only know Disk Yemmie and Vera, I'll check out the other bloggers. Yeah, to each her own. It's a personal decision and some people are more open than others. 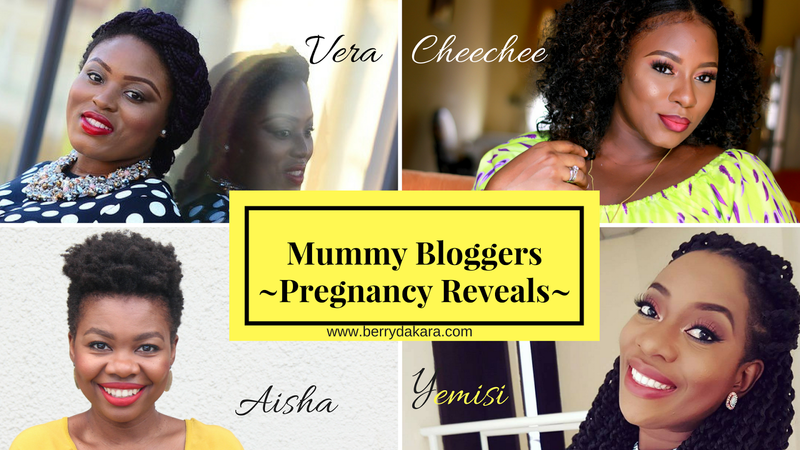 I know of other bloggers that revealed their pregnancies much earlier than I did.